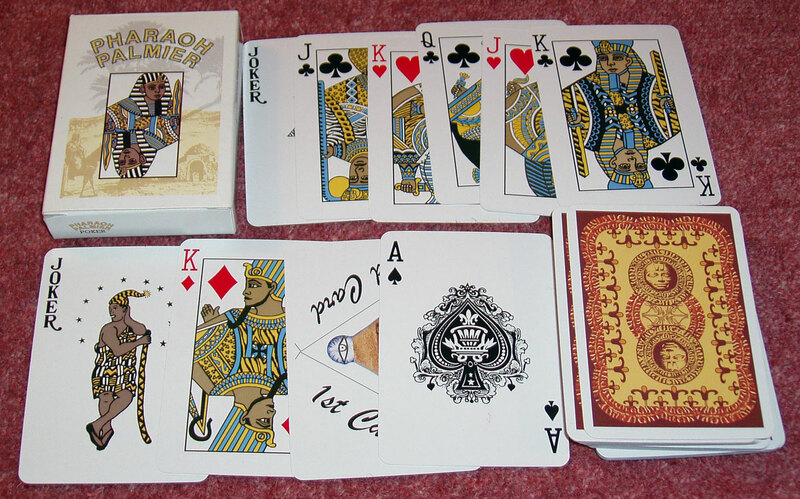 "Africa, and its tantalizing thrusts of mystery, majesty and malevolence, remains an enigma"
Above: nine cards and back design from "Pharaoh Palmier Poker Cards". 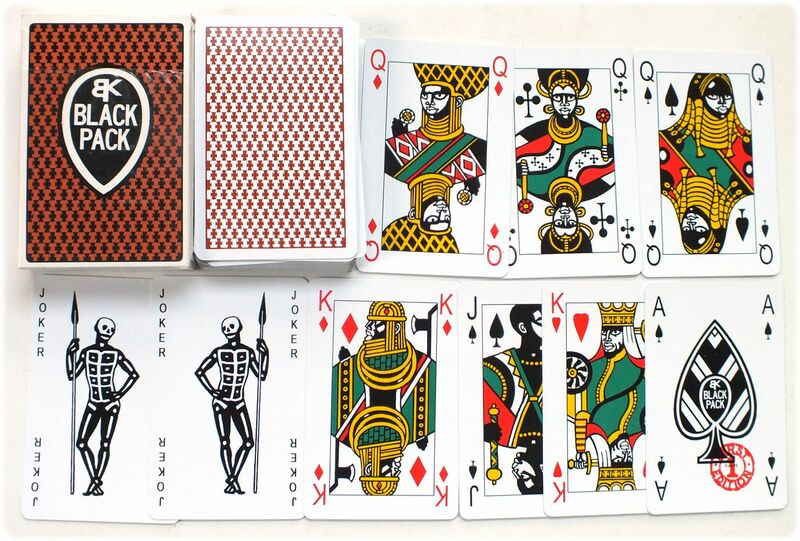 52 cards + 2 Jokers plus pyramid card in tuck box. 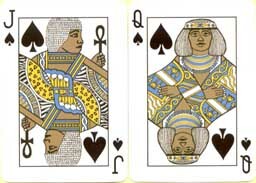 Other African themed decks reviewed on this website include: "The Frozen Court"
Above: 52 + 2 jokers + extra joker in Special Box: BLACK PACK, featuring thick-set black characters in traditional African dress. 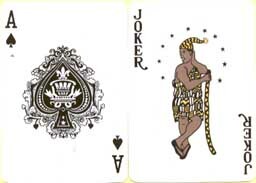 First edition, limited to 5000 copies. Manufactured by Heraclio Fournier S.A., Spain for Sasakti, London, 1993. 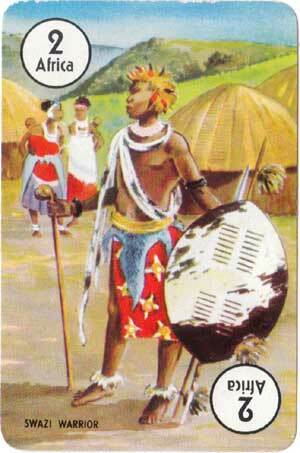 33% proceeds to aid African children "for personal freedom & social justice". Illustrated by production designer Christopher Hobbs. 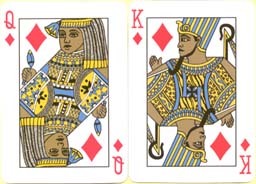 An error can be seen on the queen of diamonds, the inner pip symbol is missing. 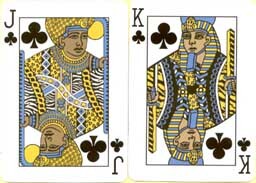 Above: African themed card from Round the World card game published in 1961.